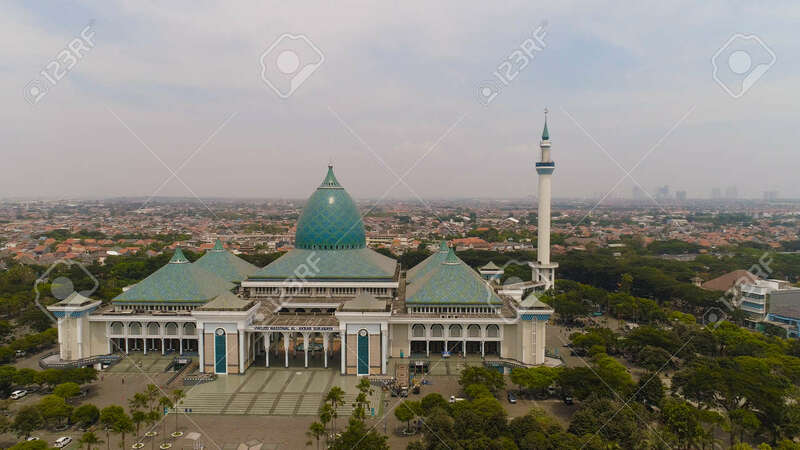 Aerial View Mosque In Indonesia Al Akbar In Surabaya, Indonesia. Beautiful Mosque With Minarets On Island Java Indonesia. Mosque In An Asian City Lizenzfreie Fotos, Bilder Und Stock Fotografie. Image 115258192.